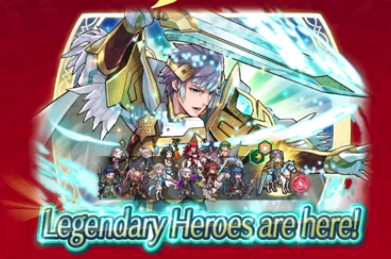 Hríd: Icy Blade is upon us, in his self-named Legendary Hero banner, coming to us very soon. Hríd’s battle style appears to focus around capitalizing on debuffing, by both debuffing foes on his own, and earning a Sweep/Breaker bonus to himself when battling debuffed foes. Hríd his friends come at an 8% summon chance, during the Legendary Hero (Hríd: Icy Blade) banner, which runs from November 27 @ 11p PT until December 4 at 10:59p PT. Good luck! For more info on Hrid, click Read More. For the Japanese trailer, click here. Grants Atk +3. If a penalty inflicted by a skill like Panic or Threaten and/or a negative status effect (preventing counterattacks or restricting movement) is active on foe, unit makes a guaranteed follow-up attack and foe cannot. At start of turn, if unit’s HP >= 50%, inflicts Atk/Spd -6 on foe on the enemy team with the lowest Res through its next action. I’ve been saving for months for Lucina, 500 orbs stocked and ready to go. And dang, that Blue pool is good! Glad to see the new Brave Heroes are making an entrance after all! Please, stop spaming Grima in every banner. I know she’s the only colorless legendary, but I need some variety (and wrathful/dazzling staff). I have a +2 merged and I don’t even like her. Meanwhile, I’ve been trying for her and still haven’t gotten her. But I do agree that variety would be better. Meh, aside from B!Hector, Gunnthra, Hrid and F!Grima this banner is a pass as I could honestly care less about the others.